Ordered in November 2005, and collected on 28th April 2006, this is an absolute beautry. 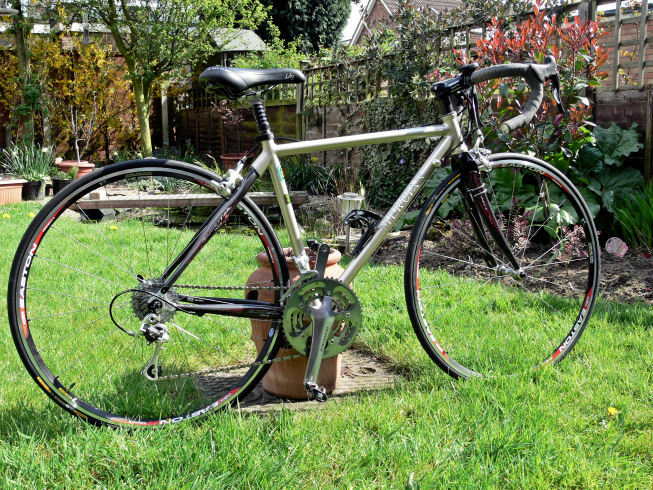 After buying the Trek, an riding it for a while, I knew what I wanted from a bicycle and decided to take the plunge and order this as a retirement present for myself. I have to say it is an absolute pleasure to ride - very light indeed, and beautifully equipped. 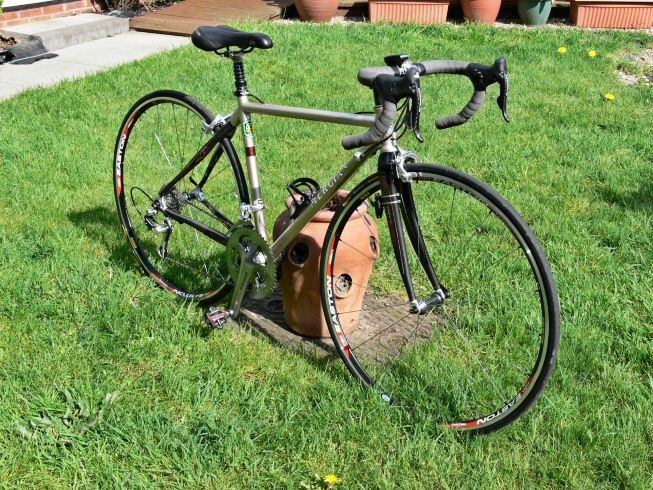 The Campag Chorus groupset (with Dura-Ace chainset) is superb to use, and I have ridden almost 2000 miles on this bicycle with no problems whatsoever. It is absolutely ideal for longer day rides and audax events, and I am stunned with the quality and workmanship of this machine. This is all the bling stuff on the bike! 1. Very, very bling - fantastic little bicycle! 3. I never thought I'd see the words Dura-Ace on any of my bicycles. 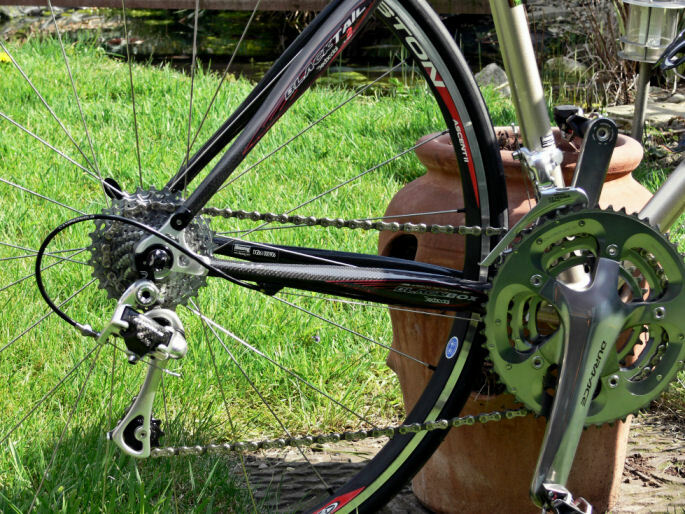 A close-up of the Chorus rear mech, beautiful carbon fibre rear triangle and the Dura-Ace front. Very nice indeed. The Easton wheels are quite tasty too!